The UC Santa Cruz Center for Games and Playable Media has appointed Jane Pinckard as its new associate director. Pinckard, internationally known for her blog GameGirlAdvance, comes to Santa Cruz from Boston, where she worked in business development at Foundation 9 Entertainment, an independent game studio. "UC Santa Cruz has one of the top game design research programs in the world, and I'm thrilled to join the team at its home base, the Center for Games and Playable Media," Pinckard said. "It's an incredibly exciting time for video games as we stand on the threshold of so many innovations. The potential future of this unique 21st-century medium is rich for artistic expression and technological progress, with enormous implications for our social, cultural, and economic evolution." As associate director, Pinckard will join director Michael Mateas in building close ties between the computer game industry and the academic game research coming from the center's five labs, including the Expressive Intelligence Studio. "We're trying something new. We have a deep portfolio of game research that we want to connect with the game industry," said Mateas, an associate professor of computer science in the Baskin School of Engineering. "Adding Jane's deep game-industry knowledge to our strong research presence makes us feel as if the sky's the limit." Pinckard, who serves as vice chair of the International Game Developers Association, has an extensive background in game journalism, having written for XBox Nation, Salon, and other media outlets. She co-created the 1Up Show, a weekly video Internet show about game culture. 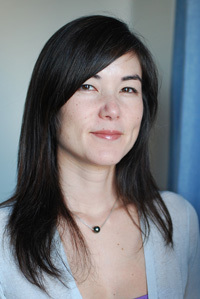 Jane has lectured at Stanford University, Carnegie Mellon University, and Whitman College, and was a 2004 non-resident fellow in Lawrence Lessig's Law in Virtual Societies class at Stanford Law School. Pinckard joins the Center in time to take part in its official launch symposium, "Inventing the Future of Games," on Friday, April 15. The symposium, which aims to bridge the gap between game research in academia and industry, will feature keynote speeches by Sim City creator Will Wright and Rod Humble, new CEO of Linden Lab, makers of the virtual world Second Life. The UC Santa Cruz Center for Games and Playable Media was formally established in 2010, building on work done since the Baskin School of Engineering began offering a degree in computer game design. The center houses the school's five game-related research labs, including the Expressive Intelligence Studio, one of the largest technical game research groups in the world. The center's mission is to tackle core technology and design challenges to enable the games of the future. Addressing these challenges will help sustain the industry's economic growth, make game authorship more broadly accessible, and dramatically expand the expressive power of games. The center is committed to furthering the impact of first-class game research by building relationships between its five research labs and industry; building and releasing research-driven experimental games; facilitating UC Santa Cruz game students in joining and changing the industry; and engaging the public and the media.